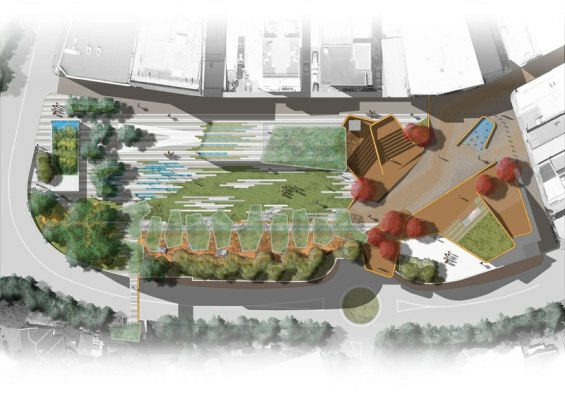 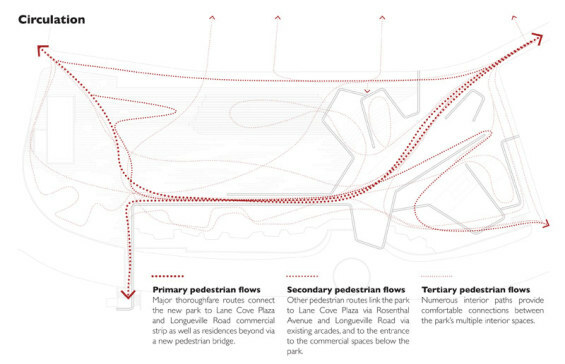 Rosenthal Park incorporates three integrated spaces with distinctive characters, enhancing pedestrian flow and connectivity to adjoining areas with sustainable reuse of rainwater and solar energy. 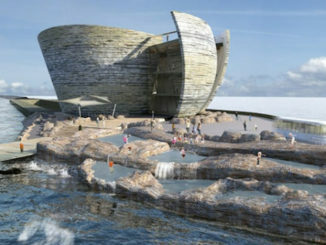 The Forum is the primary venue for meeting, markets and performances, incorporating interactive waterplay, timber terraced amphitheatre, community studio, plaza and lookout. 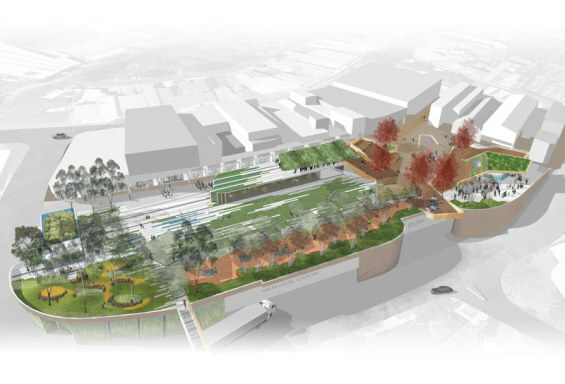 The Central Green is a flexible space for informal recreation and events, including a commercial space with rooftop garden/dining, shade structure incorporating solar collectors, the Scribbly Gum grove and recreation activities. 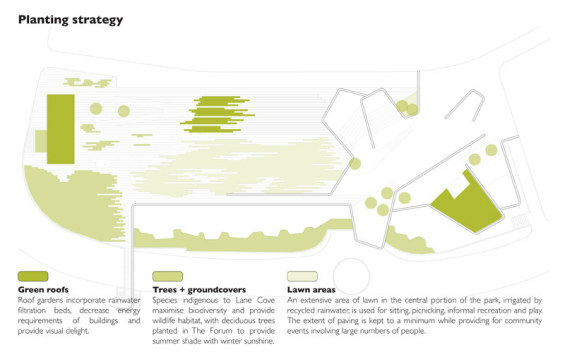 The Urban Bush provides a bushland café and playspace, roof garden with rainwater treatment and a broad stairway entrance to the park. 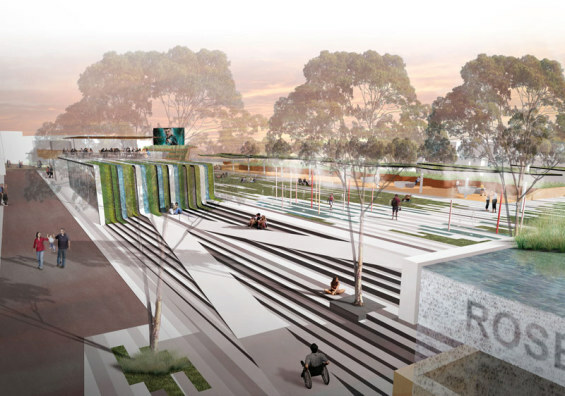 The Lane Cove community has embraced Rosenthal Park as their new central civic place. 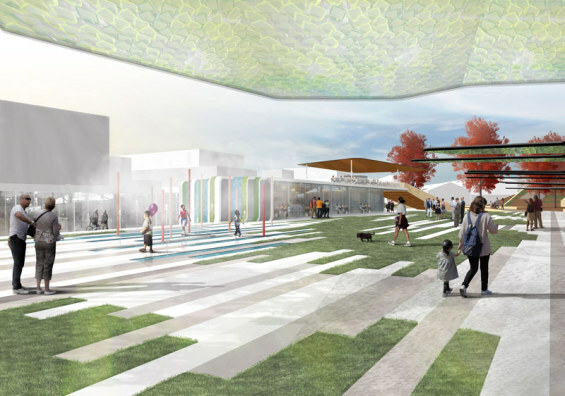 The Park provides an enduring sense of place that nurtures the community values of engagement, purpose, inclusion, mutual support, cohesion, adaptability, resilience and fun. 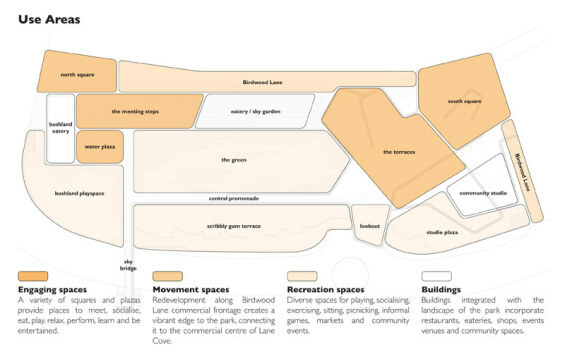 The diversity of spaces encourages and supports people of all ages to meet, play, perform, participate, learn, relax and reflect. 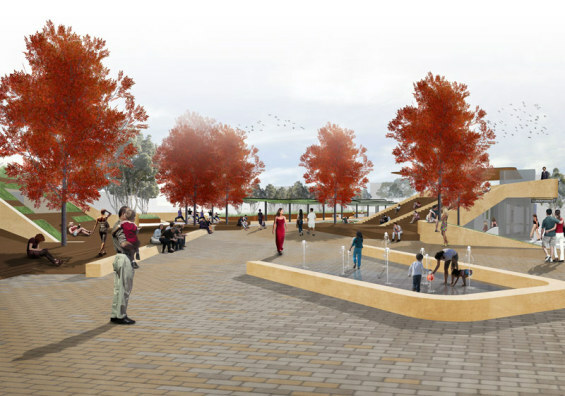 As the Park evolves and adapts over time with the community, it will provide a strong sense of continuity and connection to the broader community of Lane Cove. 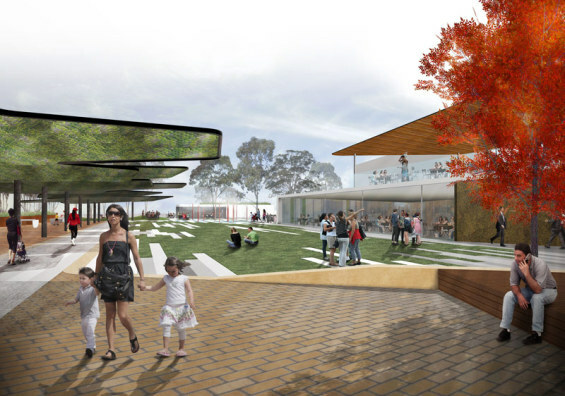 The Park forms a key element in a precinct that includes Lane Cove Plaza, Library and commercial development, connected by a network of pedestrian paths, lanes and arcades. 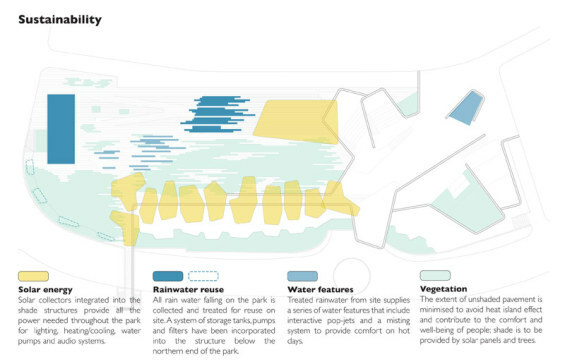 Commitment to sustainability includes recycling rainwater, collection of solar energy to generate all power on site and a landscape that contributes to the health and well-being of people using the Park and greater biodiversity.